In today’s world with interest rates near zero, almost everybody is looking for a way to capture a new revenue stream. More and more of our investor’s clientele finds that buying Florida vacation properties and renting them to vacationers is a profitable investment. To attract vacationers who easily can look up homes and rates for hotel rooms, homeowners should work with a vacation rental agency like our subsidiary Anna Maria Island Real Estate LLC. We have the systems in place to advertise online, respond to inquiries within minutes and get the booking and payment in for our customers. Depending on season, vacationers are coming from up north as well as other countries, like Canada, Great Britain, Germany and South America. Since our rental subsidiary handles the property, it is turned over and cleaned in between guests while homeowners can sit at home collecting income. There are also some beneficial tax savings for vacation homes if used the right way. Homeowners can potentially make more extra income in a shorter period of time if they rent their home out during peak seasons, which in Florida typically is from January through April. During off season months weekly rentals are the most profitable way to rent a home. So owners are able to benefit from Florida Sunshine themselves while renting it during peak season. We can advise which properties are a good fit for the individual situation. 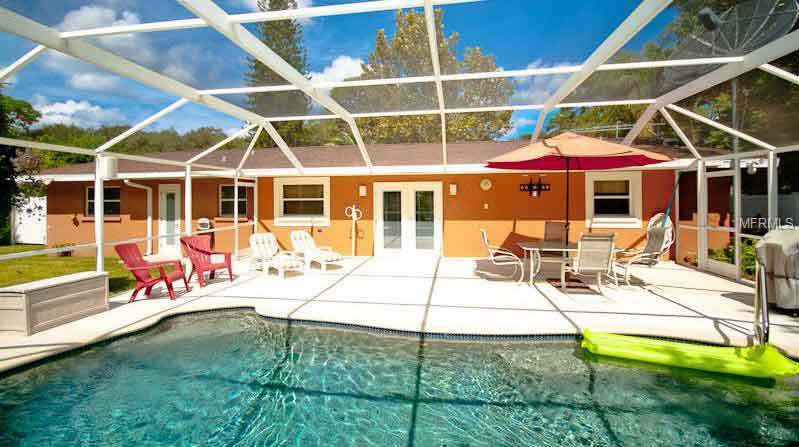 Cleanliness and amenities – modern kitchen and bathrooms, king-sized beds, wireless Internet access, tiles or hardwood floors and a private or community pool are the key factor in getting your Bradenton or Anna Maria Island home rented. • De-personalize the home and remove clutter and personal items. • Ensure the home has up to date home electronics and WiFi internet access. • Stock the kitchen with the appropriate tools and cookware; stock bedrooms with an extra set of linens and towels. • Prepare an instruction sheet for home electronics, garbage pick up dates and provide information about local restaurants and attractions. The typical net return for our investors is between 5 and 12% p.a. And this does not even include the potential appreciation Florida Real Estate is expected to see in the next few years with baby boomers floating the peninsula. You will get the best return on your investment if a home can be rented out during the peak season. However this should prevent you from using it for a few week here and then even during season. In order to comply and maximize the tax savings it is highly recommended to buy an investment property and turn the management over to our Property Management Company Anna Maria Island Real Estate LLC. The dedicated vacation rental division can help you maximize your ongoing profit, take care of servicing, licensing and mandatory tax filings. And you should never forget: Vacation rentals collect rents upfront, so no hassle with late payments and evictions. If you are interested in renting out your second home to vacationers or buy an investment property, please contact us @ 941.866.1666 or use the contact form below.